37 fans of Nicki Minaj will have either their college tuition or student loan debts paid off by her. In 2017, Minaj responded to a fan's tweet about college tuition by starting an impromptu streak of paying off student loan debts to for dozens of her fans. The experience inspired her to start an ongoing college tuition fund called "Student of the Game," and she recently announced a new round of winners. 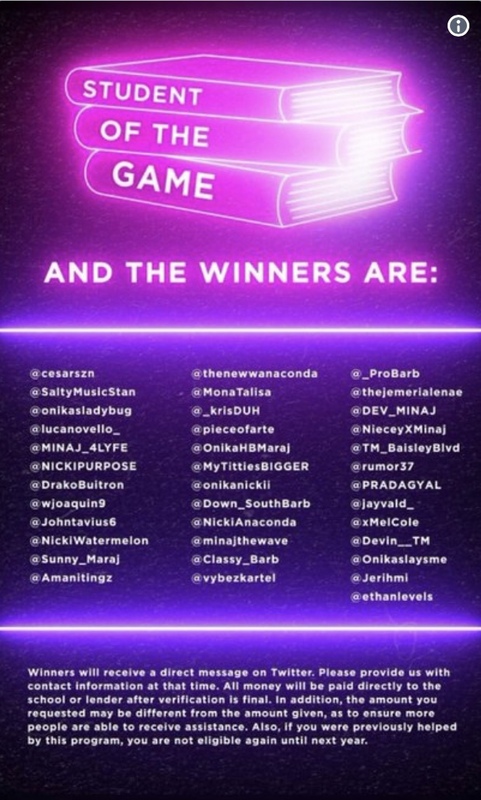 Minaj's team filtered through thousands of entries and selected 37 winners who were announced on her website, mypinkfriday.com.